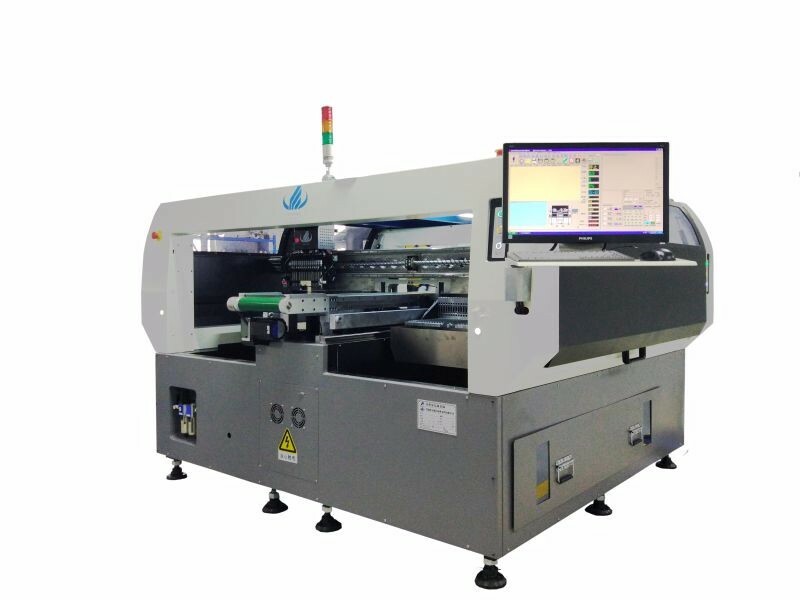 SMT pick and place machine, Led chip shooter, SMT machine, Led bulb manufacturing machine, Led light production line, PCB manufacturing machine,Led lamp making machine, etc. 1) Do you have oversea after sale service? We can offer technical support abroad. If you have any technical problem, our engineers will support you promptly. 2) How is the training? After buying our machines, you can send your engineers to our factory, or we send our engineer to your factory, and then we will train your people to operate these machines. 3) It’s hard to use the machine? No, not at all. For our previous clients, at most 5 days is enough to learn to operate the machines. 4) Does your machines have quality certificates? We are high-tech enterprise with CE,SIRA,CCC ,ISO awarded as "Well-know brand" and many technology patents, and have rich experience(more than 8 years) in LED light production line program. 5) What’s the terms of payment? What about the trade term? T/T is OK. You can choose FOB Shenzhen.